I’ve suffered with swollen feet in my third trimester and this cream is so soothing, it cools them down straight away. When I use it I notice the swelling goes down quicker when I have my feet up than without using it. The only bad thing is I think it smells of toothpaste but I can cope with that! I bought lucky legs and used it all throughout my 1st pregnancy, baby number 2 is now on the way I have re ordered and have it stock piled. It is simply magic, as a busy salon owner I spend hours on my feet and I could feel them swelling, sore and puffy at the best of times but when Iam pregnant you can imagine what they where like. 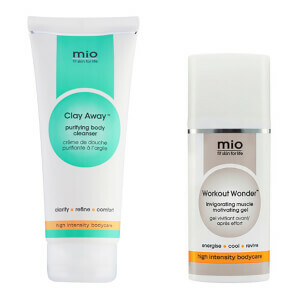 My friend took me on a spa day where they used and recommended the Mama Mio products to me so every night I applied them and instantly the lucky legs cooled down hot putty legs and feet, I didn’t have one bit of bother with “kankles” or any thing like that. I highly recommend this product it was a life saver for me!! I have struggled with restless legs since becoming pregnant and this is a godsend. Thank you! I used this throughout my first pregnancy and have bought some more to see me through my second. In a demanding job where I don't sit down all day this was a lifesaver!!! The only thing that would relieve my restless legs and allow me to sleep at night. Light and refreshing. My only disappointment is that it doesn't come in a larger bottle. I have used this leg gel during the pregnancy, and now that I'm 2 weeks from due date I plan to continue using it (even after pregnancy). It really relieves me from pain and refreshes me now that it's almost summer. Amazing even when you're not pregnant! I bought Lucky Legs after a pregnant friend recommended it for tired, achy calves as she knew I was going away on a trek. 63km in the jungle later, I can safely say that this stuff really works! It is a pick me up for your legs in a bottle and definitely does make sore legs and swollen ankles feel peaceful again. Would highly recommend. I bought mama mio's Tummy Rub Butter and loved the smell, the formula and how it made my skin feel so decided to venture out and try a few of their other products. I LOVE Lucky Legs, as my baby gets bigger my feet and cankles just get fatter and more swollen and this product gave me the relief I needed! I'm obsessed! This really helped to soothe my legs and ankles when they got really swollen - I would 100% recommend this product!